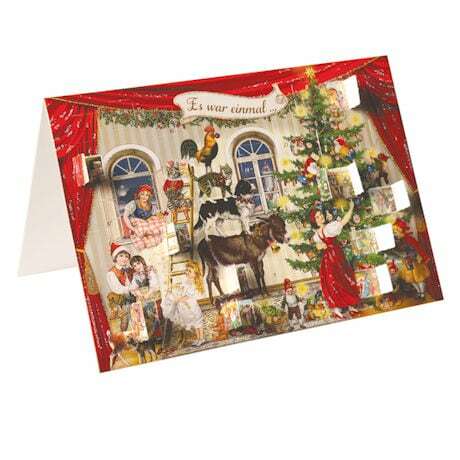 Make your Christmas greetings especially memorable this year with our lovely Victorian Advent Calendar Cards from Germany. Each of these old fashioned, glitter-embellished scenes - of festive folk skating on a frozen pond, decorating a tree, following Santa's sleigh through town, and frolicking on an ornate carousel - offers twenty-four tiny windows to open, revealing charming little illustrations. The blank 6½"x4½" cards, which come in a set of four with gold-foil-enhanced envelopes, truly are a gift in themselves: The recipients can enjoy the miniature calendars throughout the holiday season. 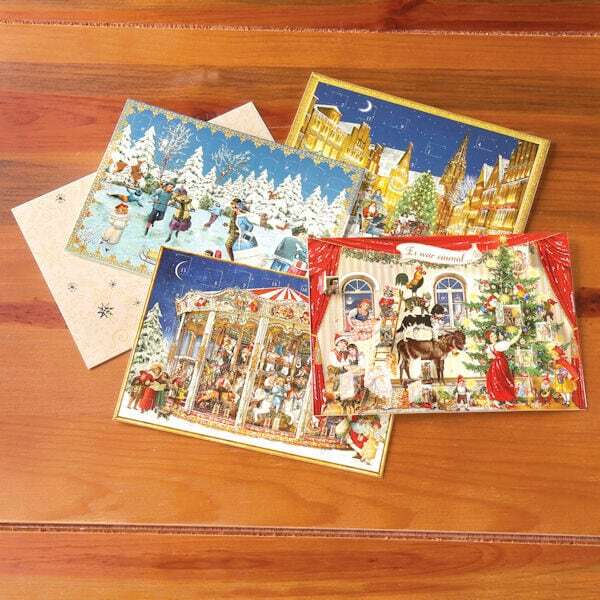 What great incentive to get your Christmas cards to the mailbox early!